This page discusses issues relevant to Sri Lanka and some of the topics are discussed in sub pages along with world history. Bandaranaike International Airport formally known as Colombo Airport was built by British in the mid 1940's. During the time the airport was called Royal Airport Katunatyaka (RAF). The sole purpose of building this Airport by British to replace their lost airports in India, Pakistan and Nepal. Primarily the airport was used as an air force base and supply center for the aircrafts engaged in World War II. After the independence (i.e. 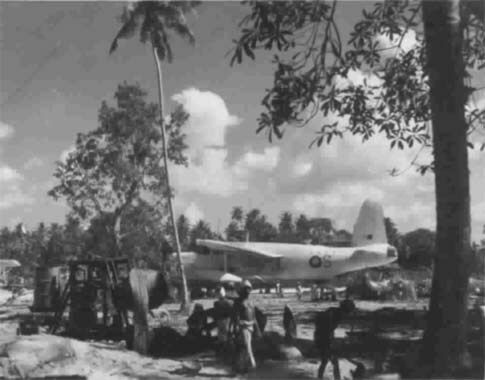 1948) the Royal Ceylon Air Force formed and they expanded their air power by establishing the headquarters at Katunayaka. In 1983 the airport was renovated and expanded further to facilitate more passengers. These include new terminal building, Navigational Services Complex (NSC) and ICAO category III navigational equipment. These improvements to the airport had tremendously encourage more civil aircrafts to be used as a staging post to rest crews and passengers of aircraft in transits. Domestic airports have similar history which extend up to 70 years including the exceptional Water runway of Koggala.